So Small, Yet So Powerful! The Ideal PC Replacement Computer! As Windows XP went end of life as of April 8th, 2014 Windows 7 and 10 became the Operating Systems of choice. Businesses are most often replacing their old computers with a new Operating System rather than attempting to load a new OS on a dated computer. If you are in the market for PC replacements, there is a new form factor that you *absolutely* should consider – minis! These are extremely small computers measuring about 4″ x 4″ x 2″ called mini PCs. 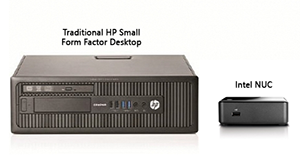 MSP typically recommends HP minis or Intel NUCs; these small computers come with i3 or i5 processors, 16GB RAM, SDD drives, wireless, and ability to support up to 3 displays natively. HP minis or Intel NUCs can be used standalone or clipped onto the back of a flat panel display. These computers are game changers!!! 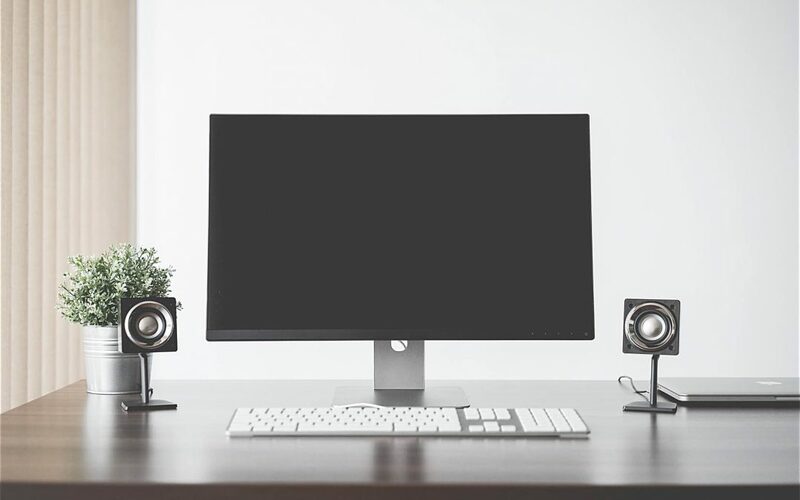 They have become incredibly popular and are ideal for many business functions where they often are a better fit than a traditional PC. A small package that does not sacrifice performance! Think you know what small can do? Think again!